We all know how convenient it is to shop online, letting us get what we need delivered to our doorsteps. But while your teen or tween kids may appreciate the same convenience, you probably don't want to give them unfettered access to your Amazon account. 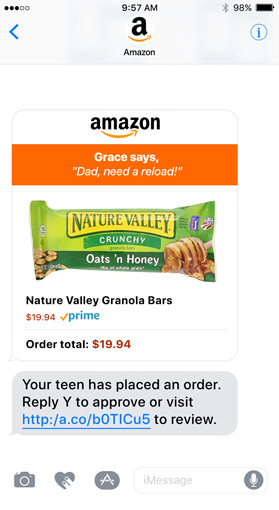 Fortunately, Amazon offers a solution to this problem with new accounts just for teens ages 13 to 17. 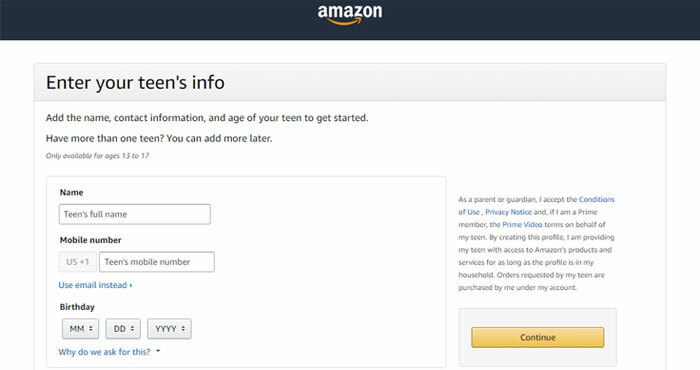 Your teens can have their own Amazon login that's linked to your account (and your credit card). With this linked account, teens have the independence to browse and buy on their own — the shopping experience is just like having a standard Amazon account — while you review their purchases. Teens can shop via the Amazon app (for Android and iOS), and whenever they buy something you'll get a text or email listing the item, cost and a personal note (if your teen leaves one). You can either approve purchases on a case-by-case basis or set spending limits — kind of like a virtual allowance — for them. Either way, you'll know about every purchase and be able to review it before it ships. Shopping has become an increasingly digital affair, with an increasing number of brick-and-mortar retailers closing their doors. Amazon's new teen accounts offer a safe way for older kids to get started with online shopping — and hopefully, learn some shopping lessons so they don't max out their credit cards when they start shopping on their own. With the program, teens can also access select Amazon Prime benefits if you have an Amazon Prime account. This includes most Prime benefits that teens will most appreciate: free two-day shipping, unlimited access to Prime Video streaming, and free games with Twitch Prime. The only noticeable absence is the unlimited music streaming of Prime Music, which will remain locked to your primary account. Teens and parents can sign up now to start shopping. It doesn't matter who signs up first: Amazon will email instructions to the other on how to set up teen shopping. Search ASKTOPAY on google. it supports all Ecommerce platforms ( Magneto , Woocommerce , DemandWare ) and not only amazon. Visitn http://evelynelthomas.com/ to get excellent service.